Nassau County Department of Public Works, Chelsea House Pond and Cedarmere Pond Aquatic Vegetation Control | D&B Engineers and Architects, P.C. 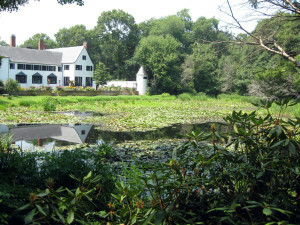 As part of its effort to restore and or improve the quality of selected, scenic, water resources and habitats in the County, the Nassau County Department of Public Works retained D&B to conduct a study of Chelsea House Pond in the Muttontown Preserve and Cedarmere Pond in Roslyn Harbor. 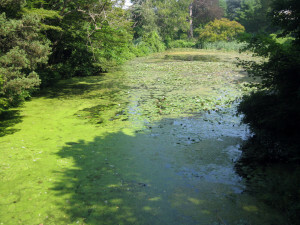 Both ponds have been degraded by invasive species and pollutants. D&B scope of work includes detailed characterization of the ponds, evaluation of alternatives for pond restoration and improvements, engineering design for the preferred alternative, preparation of design documents (plans and specifications) and environmental permits and approvals. An important element is to eradicate invasive species, control storm water discharges, improve and preserve water quality, and restore the ponds to their previous, scenic splendor. Pond characterization included review of existing documentation, field surveys, water quality sampling, mapping, and habitat assessment. The pond characterization, restoration alternatives, preferred option, and conceptual design are the elements of the technical design report. D&B was also retained to address environmental review requirements and obtain applicable environmental permits.